Thank goodness I won a copy of this book and wanted to get a review on it fast, because who knows when I would’ve picked it up. Akarnae truly blew me and my expectations away. For those of you who know nothing about Akarnae, here is my own little summary. If Alex’s parents didn’t have to leave for eight months for a business trip, she would’ve never went to the International Boarding School and walked through a door that took her to another world. However, her parents are gone for eight months and she did walk through a door to Medora, and now she has to deal with it. Thankfully, she is picked up by two guys who take her back to Akarnae, a school for the gifted (gifted meaning blessed with awesome powers). Alex has to learn everything about this new world and try to survive the most insane classes. This world may seem fun at first, but there is only one concern in Alex’s mind: how will she get back to her home? If that little description doesn’t want to make you pick up this awesome book, here’s something else. This book has aspects from books like Harry Potter and Chronicles of Narnia. I even see a bit of Divergent in it myself. So pretty much you are looking at an awesome training school that takes place in a different world. Akarnae has great world-building, adorable friendships, and a very compelling plot line. 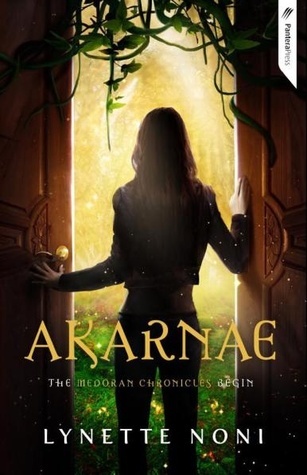 That’s about all I can give you without ruining the book, so I suggest stopping now if you haven’t read Akarnae, because the rest of this review is SPOILERS SPOILERS SPOILERS. Seriously, you’ll want to read it yourself. I have so much to say about this book, but I’ll narrow it down to three different sections. First off, let’s talk about some of the characters. I loved seeing everything through Alex’s point of view, because we are learning everything about Medora with her. Every new fact we learn about Medora, we are right there learning it with her. You can really see how brave she is, especially with the way she reacts to everything thrown at her. Alex develops the most, and I love seeing her gradually start to love this new world she is in. Then there is Bear and Jordan, the two funniest friends a girl can have. They are so supportive and understanding with Alex, and this trio had me smiling like a little kid in a toy store. The dynamics between these friends are absolutely wonderful and I enjoyed every second of it. Finally, we have the elusive D.C. who we all sort of hate at first, but then realize how cool she actually is. The whole princess thing was such a surprise for me, because for a while I thought she was in on the whole lockdown thing. Really loved seeing her and Alex get to know each other at the end of the book. The world that Lynette Noni’s has established in this book is astounding. There are so many little thoughts and details put into everything. All of the technology from the bubble doors to the medicine, everything is so though out and unique. Then of course we have the Library. This was such an interesting setting and I loved delving deeper and deeper into it. I really enjoyed the different levels at the school, especially when we got to see Alex do some expert level combat. Seeing all the classes was one of my favorite parts of the book. Finally, the plot of this book was always surprising me. I loved how Aven always came and messed with Alex’s head. I honestly had no idea what/who he was until he revealed it himself. The thought of him being from Meya never crossed my mind, but everything made sense after it was explained. Also there was Darius as the headmaster. Halfway through I had a thought like that, but dismissed it thinking it wouldn’t happen, but of course it did. This book builds everything up very nicely, and you are always on the edge of your seat. All the journeys that Jordan, Bear, and Alex take to the Library all lead up to the exciting end. Before I conclude this review, I just had to share some of my favorite parts/scenes from this book. Overall, this really is a great book. A part of me wishes I didn’t read it so soon and fast, because now I have to wait so long for the second book. The ending was perfect, but I just want more. Does Alex make it back to her parents? How will Aven come back in the second book? Is Alex going to be going back and forth from Freya to Medora? So many questions! How to Pick What Book to Read Next – A post where I give you some practical and slightly impractical ways of picking your next book. If you don’t know what to read, check out some of my methods! Summer Bookish Bucket List– All kinds of book related things to do over the course of summer. Akarnae by Lynette Noni on Sale– I was fortunate enough to get a copy of Lynette Noni’s Akarnae! Her book is also on sale right now, so check out the post for more details. 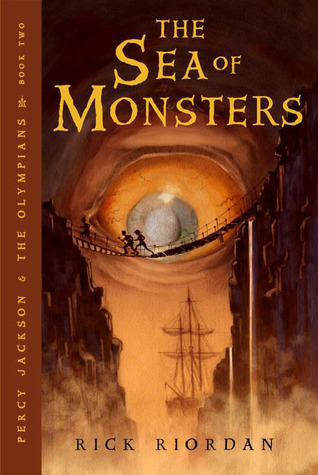 Best of Rick Riordan’s Chapter Titles– Some Percy Jackson reminiscing as I share some of the best chapter titles known to man. July Buddy Read? ?– A quick post about the possibility of a buddy read! Please visit this post to learn more about it, as I need some suggestions in general and book titles! P.S. 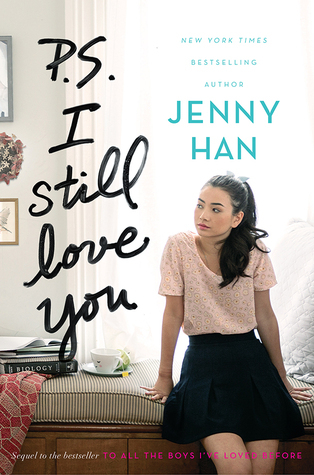 I Still Love You Review– My first review in forever over Jenny Han’s newest book. Akarnae Review- Yes, I finished the book in two days, and I am so ready to review it! Here’s a sneak peek: I LOVE THIS BOOK SO MUCH. As always, there will probably be some other random post I decide to throw in this week. You are probably wondering what the heck a Tag-tastic week is. Basically, I haven’t done a tag in ages, and I have many that I would like to participate in. Throughout this tag-tastic week, I will be posting all kinds of tags. I don’t have a final list of which ones I will be doing, but expect some pretty cool ones, and maybe even an orginal tag. I need some book suggestions! I would like to get a poll out this week to see how many people are interested and what book they want to read. You have probably heard of Jenny Han’s To All The Boys I’ve Loved Before. It was a pretty popular romance book that came out last year. I absolutely loved it and it was one of my first reviews on this blog! If you haven’t read the first book, I suggest you stopping now, because there are going to be a lot of spoilers. If you haven’t read the sequel yet, the spoilers for you start after the goodreads blurb right below. Last year I read Jenny Han’s To All the Boys I Have Loved Before and I absolutely fell in love with it. It was one of those cute and cliché pretend relationship that turns into a real one and it was great. One of the better romance books that I read last year. So naturally, I was very excited for the sequel P.S. I Still Love You, especially after the first book’s ending. I just wanted more of this story. Unfortunately, I was a bit disappointed. The characters were pretty much the same as they were in the last book. Lara Jean is like this cute little yapping puppy; she adorable but can get on you absolute last nerve. She just seemed afraid the entire book, but toward the end she got more confident in herself, which I really enjoyed. Peter is Peter, and I love all the cute moments he has with Lara Jean in this book. Of course, jealousy wasn’t the best color on him, but what do you expect in a cliché romance book. I really enjoyed the addition of John in this book. As much as I liked him as a character, I was really glad him and Lara Jean didn’t get together and ruin the entire Peter plot line. Overall, I liked the characters as much as last time. This is where I get to my real issues: the plot. There really wasn’t anything too exciting to this book plot wise. I thought at the beginning the video recording would be the main thing, but that blew over pretty fast. The whole Genevieve story and her secret wasn’t that great, because you knew Peter wasn’t actually with her. Even the “competition” between John and Peter wasn’t that long. 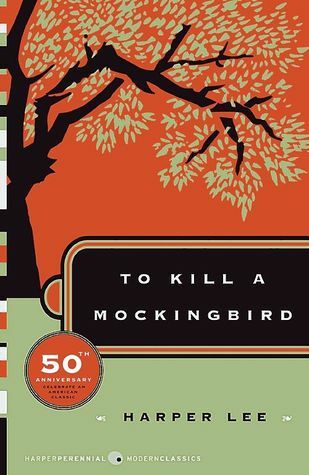 I just felt like this book didn’t have the story line that kept you reading like the first book. However, Jenny Han’s writing style is still amazing. I just love the way she writes her stories. She is also amazing at writing love stories, which was by far my favorite part of this whole book. Lara Jean and Peter together are just so adorable I can’t explain it. When she added John into the equation, I didn’t know what to think. I loved John, but I loved the couple together as well. Just so much cuteness in one book. P.S. I Still Love You had some great scenes despite everything. Like the very fast but very adorable reconciliation of Peter and Lara Jean. I honestly wasn’t expecting them to work things out so fast, but I was glad they did. It gave us a whole book of cute moments of them being together. At the same time, I also loved the part at the nursing home when John and Lara Jean had to spend the night, and they escaped to play in snow and sing Frozen. And of course, you had to love the reconnection of old friends and the intense attacking game. Overall, I did enjoy the book, but it wasn’t at all what I was expecting. Maybe I was just expecting too much from this book. There really wasn’t too much of a story going on. This book’s saving grace is all the cliché fluff that is fun to read. If you read the first book, I would definitely recommend reading this for all the cuteness. If you haven’t read the first one, what are you doing! Jenny Han has a pretty cute story here if you enjoy romance books. P.S. I want a Lara Jean in my life to bake me all the things she does or her recipe book, because she is constantly making something that sounds amazing. A few weeks ago, I mentioned that I wanted to do some sort of book event during the month of July. Next thing I know, July is right around the corner, so I need to get this straightened out. What I kind of want to do is like a buddy read of some sort. We get some time to read the book, I post some discussion posts (maybe some other people too? ), and we all have a good time talking about books. How does this sound? Next thing I need to get in order is what book we would read. I’m going to be looking at comments of people want to read and throw in books that are really in right now, and then I would create some sort of poll where you all could vote. If you have any suggestions as to what book we should read and if you are interested in participating, please comment down below. Sorry for sounding so unsure about everything, it’s my first time ever doing something like this. If you have any suggestions on how to make this better or any comment at all, please let me know. This is just something that I think would be really fun. Thank you all. If there is something I love as much as reading, it’s the author’s personal touch they put on a book. Whether it’s just through their voice or their jokes, I find it so neat. It is a time we can really see who the author is simply through their writing. For Rick Riordan, it’s his chapter names. I don’t know if you ever noticed, but the Percy Jackson series has the absolute best chapter titles. I went through the 5 books and found a few of my favorite chapter titles from each book. Prepare to start laughing, because theseare pretty funny. Some of these are just so blunt and straightforward it kills me. 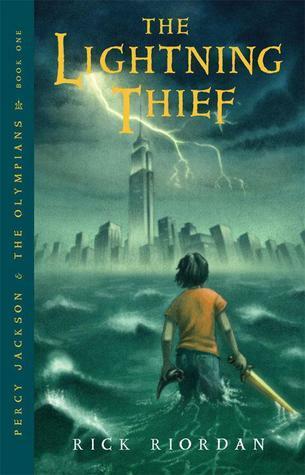 I have to say the winning book has to be The Lightning Thief. I physically had to make myself stop writing the titles. I had a great time looking at all of these, and I hope you get a laugh out of some of them as well! I personally have seen a lot of great stuff on this book, but I don’t know too much about it. I just read the summary and it sounds pretty awesome. There are summer bucket lists. There are summer book lists. But what about a summer bucket list that revolves around what you do with books. Many people will make their “summer book bucket list” and it will have all the books they want to read during the season. On this list, I’m going to give you some other ideas to do over the summer that involve books. Some of these will be harder, depending on where you live and what is available to you. This is totally customizable for you. Whether it’s reading on the shoreline or by the pool, pick a spot to read that you don’t normally get to read at throughout the year. For me, I read a lot by the pool or on my porch. Throughout the year things get so busy that many people can’t find time to do this. If you have a library nearby, take a day to go and just stroll around. Actually look through shelves you wouldn’t normally look at. Even sit down and read for a while in the serene silence of the library. It can be very calming and relaxing experience where you can just sit down in the quiet and do what you love. Trying a new food is a common objective you will find on normal bucket lists, so for us readers, the equivalent is trying a new book! So if you are normally a fantasy fanatic venture out of your comfort zone and try contemporary. Maybe look into a completely different genre you haven’t tried like mystery, steam punk, or horror. You will never know if you will like it if you don’t at least try it. 4. Start a book blog! If your passion is reading and you love to talk about books with others, start your own blog. There are different forms of book blogging. You could strictly post you’re own reviews or you create book-related contact or even be a mix of both. There is no right or wrong way, it’s just whatever you choose to do. Be warned though, if creating original content, make sure you don’t steal from other people! In summer, there may come a day where you have absolutely no plans. These are great days to just have a reading marathon. Tackle your reading list and cross some books off. You could just read all day or you could marathon a series over the course of a few days. When you read an entire book in a day, there is this amazing, satisfying feeling that comes with it, and it is just my favorite thing. If you get online there are plenty of read-a-thons that go over a course of many days. I don’t know about other people, but my reading mood goes through phases. There are times in the summer where I just want a cute summer contemporary. Also, I really like reading Harry Potter toward the middle and the end of summer. When I originally read the series it was during this time of year, so it’s fun to go back and reread a little. During the summer there are several book events and author signings that go on. I, unfortunately, never have many of these close by, but I know many people do. These events always look super fun, and you can really be introduced to a lot of different books this way. There are so many movies based off books that you can watch. I mean there are 8 Harry Potter movies that are just waiting to be loved. Some other series would be Lord of the Rings, Chronicles of Narnia, and The Hunger Games. You could even put a theme to it if you want. Have a Nicholas Spark day or Young Adult Romance movie day. So many options, so go pop some popcorn and get to movie watching. So there you have it! I hope this gave some of you ideas of what to do since it is now officially summer the season. We all know it’s hard picking the next book. Sometimes there are too many choices; other times there seem to be no choices at all. Today, I have some practical and not so practical ways of picking your next book. Whether you are dealing with this issue now or if it is something that occurs often, I hope some of these methods will help. Let’s get started! Librarians, people are book stores, publishers, etc. All these people know a thing or two about books. If you are stumped when it comes to finding your next book, go up to someone to see if they have any ideas. They see what people are enjoying, and are great at picking out books for people. They are the professionals. This is one of the easiest ones there is! There are so many book lovers that are always ready to give a recommendation. Bloggers are constantly recommended books in their posts. Goodreads is an entire site dedicated to sharing opinions on books. So many youtubers are apart of the booktube community, and they always have good books to show. All you have to do is look around, and I am sure someone will be willing to give some advice. If you have a goodreads, all you have to go is go to bottom of screen and choose “random” in the sorting methods. Then you just pick the first book that come to the top of the list. If you don’t have an account, try using a random generator of some sort. Or, if your like me, go to the pile of books you want to read on your shelf, close your eyes, and pick one. These are great if you don’t want to think about what you want to read next. Now this is a completely strange, but also fun way to pick your next book. You can write down 6 books, number them 1-6, and then roll a die to see what you get! If you have a very large tbr, you could increase this by adding more dice. It’s very customizable and very fun to do. You could even do this by genre or author if your tbr pile requires. You know the old phrase “don’t judge a book by its cover,” but you know we do a little. Go to the bookstore or library and just go through your aisle. Find the cover that you find prettiest, most different, or even straight up horrible and get it. I would suggest doing this more at a library so you don’t buy a book without any knowledge on it, but it is your choice. That’s right people. It is the 10 year anniversary of our favorite demigod, Percy Jackson. In honor of this special anniversary, there are many fun things going on in the book community. But before we get to those, first I want to share a little bit about these books. In Percy’s world, Greek Myths are real. I know that sounds crazy, but stay with me. So since these myths are real, all of the Greek gods have children with mortals, and we call these kids half-bloods or demigods. A lot of them have special powers or abilities that make it hard for them to live in the real world because they attract too many monsters. So they go to Camp Half-Blood, where they can train to kill monsters but still have fun. While at this camp, you may be chosen to go on some sort of quest to do who knows what. That’s the best little explanation I can give without giving too much away. Basically there are ten books divided into two separate series. 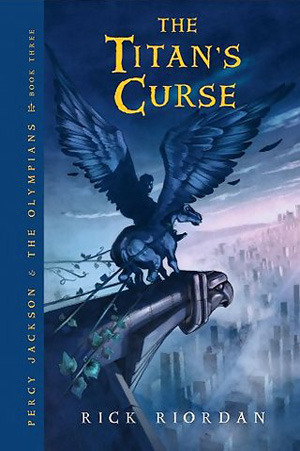 Percy Jackson and the Olympians (The Lightning Thief, The Sea of Monsters, The Titan’s Curse, The Battle of the Labyrinth, and The Last Olympian) is the first series and is solely from Percy’s point of view. 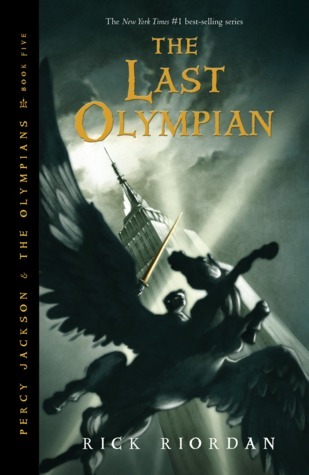 After Riordan finished this series up, he created a spinoff called The Heroes of Olympus (The Lost Hero, The Son of Neptune, The Mark of Athena, The House of Hades, and The Blood of Olympus.) This spinoff has alternating perspectives, so you get into the heads of so many characters. I’ll be honest, I was apprehensive when I heard the idea of a book centered around Greek Mythology. Never in my life have I been so wrong. Rick Riordan has this way of writing to make the mythology so interesting. Seriously, after I read his books I had all this knowledge about a topic that I wouldn’t have gotten otherwise. Don’t let the idea of it throw you off, I promise you will be missing out on a great story. These books are for all ages! Whether or not you are kid, teenager, or adult, you will enjoy these books. There is action, adventure, humor, even romance. If that’s not convinving enough, I don’t know what is. If you are someone who hasn’t had the delight of reading this series, you are in luck! Right now and until June 22, The Lightning Thief is only 0.99 cents on all ebook accounts! It also includes a sneak peek at Riordan’s new Norse series, Magnus Chase and the Gods of Asgard. This sneak peek can also be found on the readriordan website, which is located here —–> http://readriordan.com/book/the-sword-of-summer/ Also, there have been many people chosen to host giveaways! 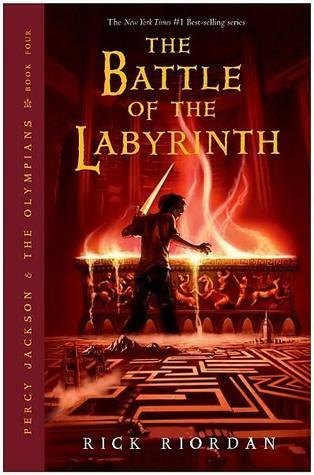 All you have to do is visit a website like http://elizziebooks.com/2015/06/17/happy-birthday-percy-jackson/#comment-67602 and find out how to enter for a chance to win a boxset! Summer Absence Over + Update! I am glad to say that my summer absence is now over! I’ve been busy these past two weeks with packing and travelling, and it was absolutely crazy. However, everything is now settled, so I will be on this blog regularly again. In fact, I sat down the other day and wrote an entire page of post ideas, and I’m in the process of creating more. You can expect post to start coming out fairly soon. 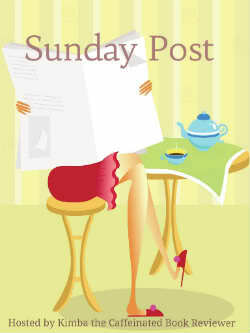 For many of us, summer is a great time for reading and posting. I am really hoping to do some different things on Find Me at the Library this summer. One thing I would really enjoy would be doing a buddy read or blog tour. Anything where we can discuss books and have fun really! I should have more information on that coming out soon. I am really happy to be back and can’t wait for some fun summer book posts!